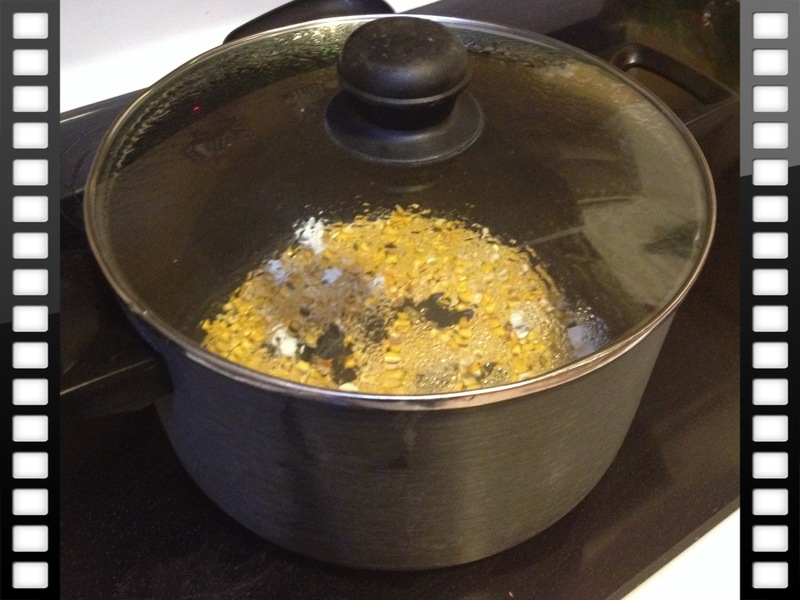 Tonight we made stovetop popcorn and it was surprisingly easy. 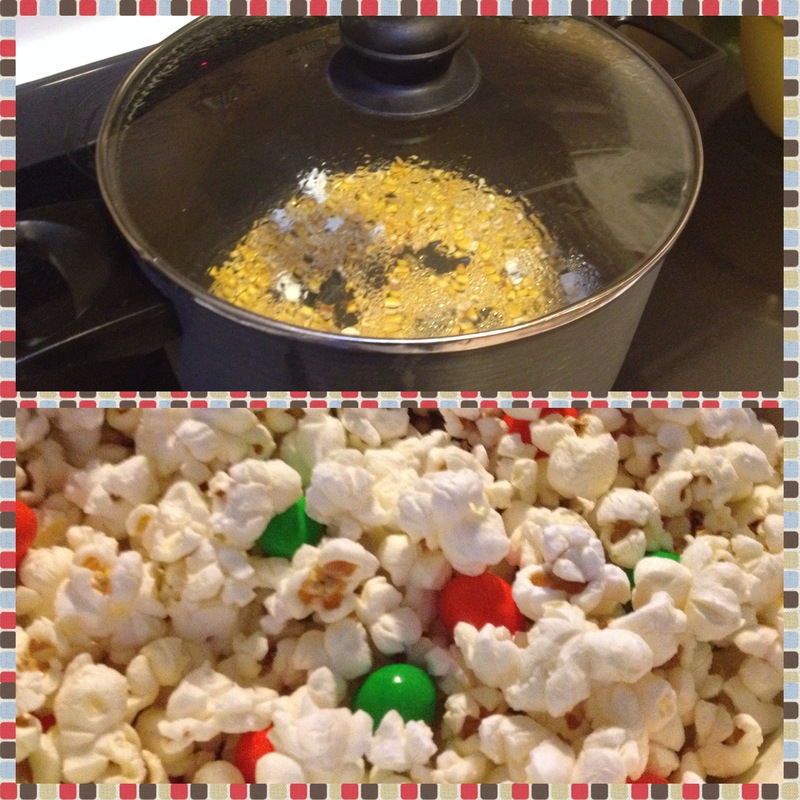 I love freshly popped popcorn, and it’s a healthy snack (well, until I add the m&ms). I’ve tried the homemade microwave popcorn (put kernels in a paper bag, fold the top down, and microwave). It tastes good and it’s better for you than prepackaged microwave popcorn. But it just doesn’t compare to stovetop popcorn. I had a movie date planned with Capri, my 4-year old. We went out today and bought popcorn kernels and a bag of m&ms (if you’ve never tried popcorn and m&ms, you must). After baby William went to bed, we got our movie ready (Monsters University) and made possibly the most delicious popcorn ever. It was a fun experience, too. Her eyes filled with delight as she watched it pop on the stove – it was a simple pleasure and sweet moment. Add oil and kernels to a deep pan and cover with a lid. Watch the popcorn pop before your eyes. Remove from heat when popping slows (it only takes a few minutes). 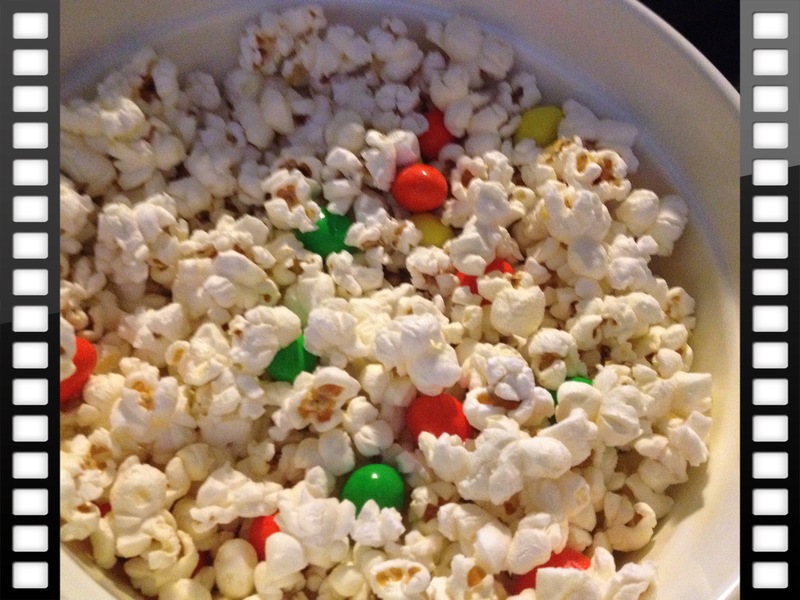 Transfer popcorn to bowl and add m&ms. I’m a big fan of coconut oil and that’s what I used for this recipe. It gives the slightest hint of flavor to the popcorn, makes it taste delicious, and it’s healthy. I hope you try stovetop popcorn at least once. It’s a fun experience (I’m not sure who enjoyed it more, me or my child) and once you try it, you’ll be hooked. It’s now the only way I will eat popcorn too. I can’t believe it took me so long to try making it this way! Mmmmm! That looks amazing. I love the pops of colour from the m&ms too 🙂 definitely going to try for the next movie night!